Today is one of these days one fears when eating foreign food. I guess I forgot the double araki after eating something wrong yesterday. My belly sounds like a chemical factory. I have to cancel my walk to Musha, and start taking medicine every two hours. 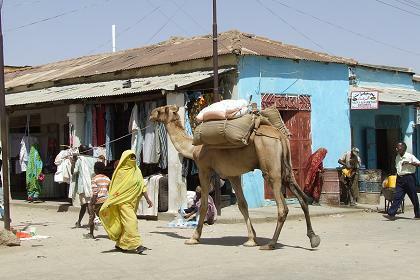 I stroll the streets of Keren instead, looking for familiar faces and excitement. 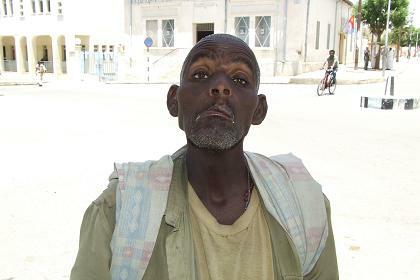 Every once and a while people unknown to me approach me and shake hands. On the market one of the women gives me a banana from her stall. Another woman takes my hand, and she doesn't let me go. For a short time I am wondering what she wants from me. "I have seen you on television" she says. "and I want to thank you!" I try to make pictures of the women, but this isn't so easy. Pictures are made when one is dressed fine, and the hair looks perfect, and not on an average day in old clothes. I will have to wait until tomorrow, at the Festival of Mariam Dearit. On the market I buy a few slices of water melon for a Nakfa per slice before having lunch in Restaurant Fickri & Selam situated at the Giro Fiori town circle. 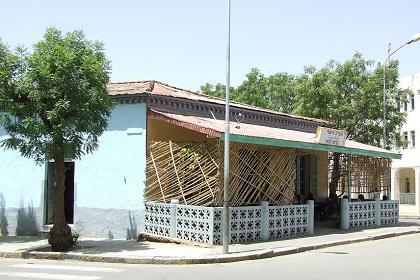 The facade hides a very neat and clean restaurant. They serve good pasta for a nice price. And traditional food of course. On the pavement of the Red Sea hotel in the shade of the trees I have my rest every two hours, and mineral water to take my medicine. I observe the preparations for tomorrow's festival. 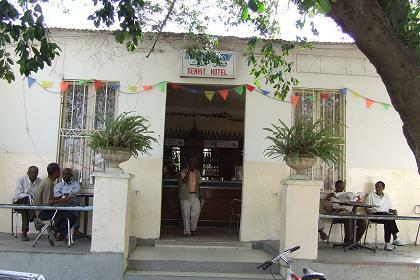 Senhit Hotel - Keren Eritrea. 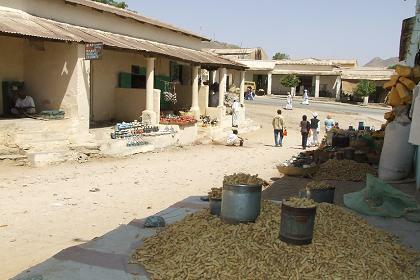 Peanut wholesalers - Keren Eritrea. 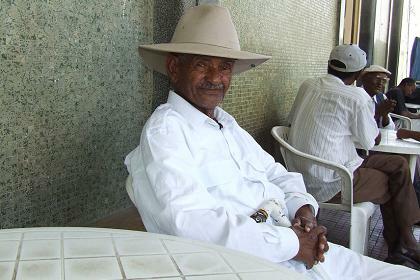 Man in traditional clothes - Keren Eritrea. 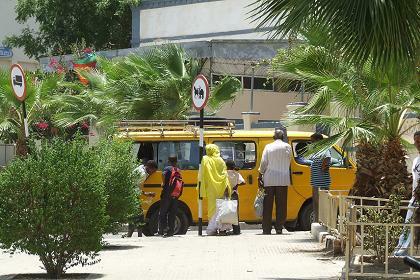 Awet Hotel - Keren Eritrea. 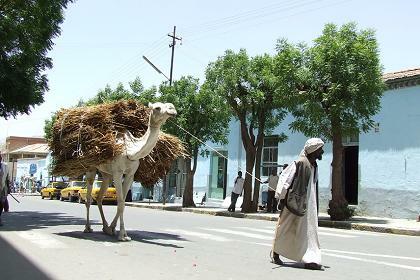 Local Transport - Keren Eritrea. 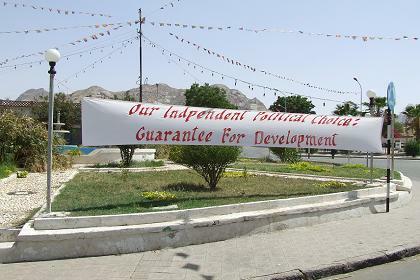 Independence Day banners - Keren Eritrea. 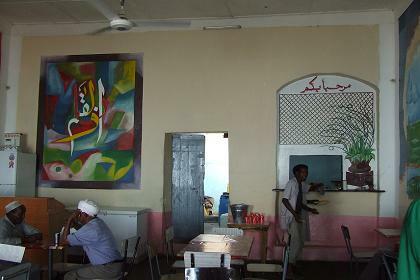 Muslim restaurant Mona Lisa - Keren Eritrea.